Culture Advanced training in the art, method, technique & business of wavy/curly hair. Some buzzwords that we hear lately is mindfulness, or being deliberate in our intentions. If there is anything that’s obvious here is that each person’s idea of those terms can vary greatly. Therefore, creating a system around enjoyment is the only way to guarantee that it is consistent and fulfills each participants needs. A system for JOY, you ask? Yes, that’s what we call Culture. Let me break it down; As the leader, I decided from the very beginning, for example, that the most important thing to me is TRUST! Which meant that one of our priorities at Oasis is building TRUST. I asked Team O, "What does trust look like"? We threw around some thoughts and dug deep. And, by the way, while this was established long ago, we still revisit and redefine this every now and again. So TRUST, for one, we decided, means no gossip. That we want to talk to each other not about each other. The concept is simple, yet implementing it and living to that standard is very difficult. I can say it starts with the leader making sure that all communication happens, no matter what! We encourage and coach all team members to have this dialogue with each other and to not keep things in. You see, most stylists come to Oasis never having been expected to have direct communication. In the interview process when we present this concept of our culture and everyone smiles and loves it as if its an easy principle to do in reality. However, the first time direct communication is required, every single person struggles. Which tells us, that we are conditioned to be uncomfortable with being honest and direct with each other and that human nature prefers to hold back on honest communication. What’s so great is that once we start to practice honest and direct communication it gets easier. It also builds a team to have great relationships, which in turn gives us the ability to reach unbelievable goals in the company. When we can get to a place where the culture IS trust, we know that our team has each others back. It feels that everyone has each others best interest at heart. That we applaud each others successes and put each other back on the path when we stray, or we are behaving in a way that is beneath us. When we have trust as a team we know its because of open and direct respectful communication as it sets a solid foundation to build the rest of what you want in a culture. We know that everyone is engaged and contributing to our collective well being. When we have trust in our workplace we are able to have greater joy! 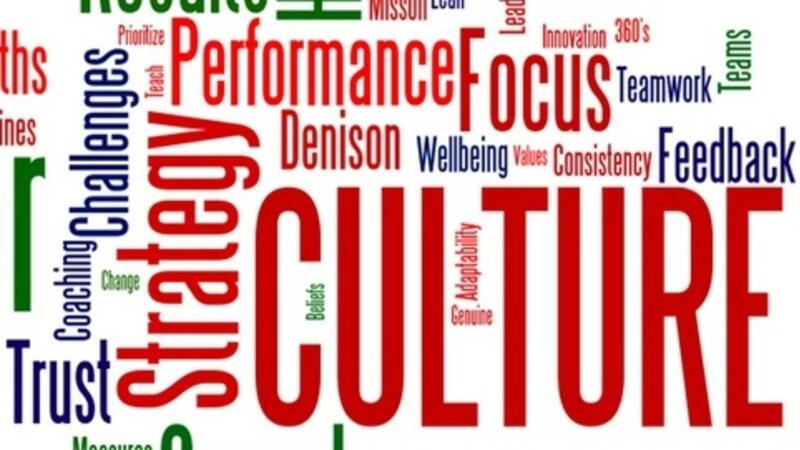 I encourage you all to be deliberate about the culture you create in your business. Whether you are one person serving your guests or several as a team. Clients can sense a culture as well and they relate to seeing our staff as a team working together for a larger purpose and in return trust us in taking care of their needs.